Nick Holland, CEO of South African based gold miner Gold Fields, stunned the audience with his speech at the Australasian Institute of Mining and Metallurgy conference in Brisbane on Monday. Holland stated that the gold mining industry is not spending enough to sustain itself into the future, with slowed primary gold supply growth hinting that we may be hitting a peak in production along with reduced exploration spend and a virtual halt in new projects. Holland had studied the mine life of 11 leading gold companies to find that it has been on the decline, dropping from 24 to 17 years. A research agency report also found that 52% of production mined in 2015 was at above reserve grades, which indicates a deliberate bypassing of lower grade gold ore. If and when the lower grade ore is mined we will see costs increased as was the case in the early 2000s. Whilst companies can get away with this when gold prices are high, should a reversal in the commodity be seen they could be caught with their pants down so to speak. Yet if Holland is correct with his assessments and a shortage of physical gold was to develop we would likely see prices skyrocket in a rather short timeframe. 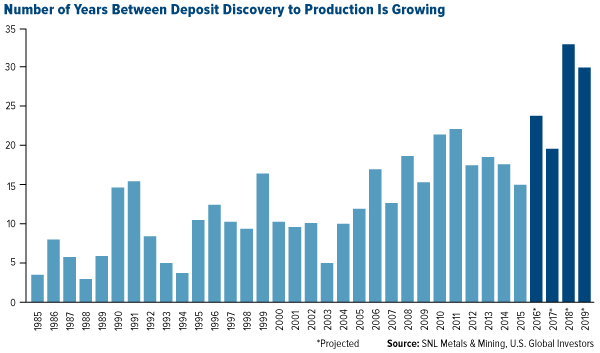 With an increased gold price, previously unfeasible projects could become justified with the new valuation of the resource, however the transformation process of taking a deposit through to production can take many years. This is mainly due to all the known mined, easy to find and close to surface deposits, and new discoveries becoming harder to come by. Holland believes that the industry needs to embrace innovation and newer technologies to deal with grades likely to be lower than those presently mined. 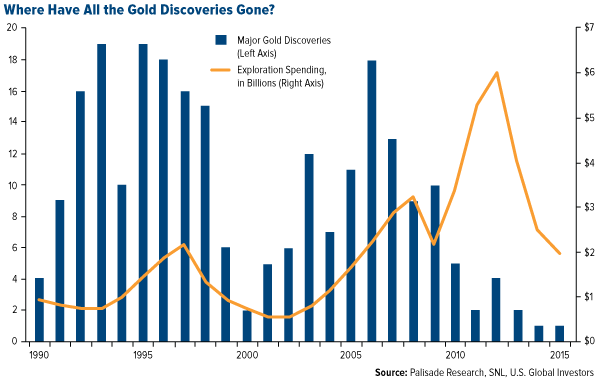 Unless major gold discoveries are made over the next few years the industry may find itself playing catch-up to demand. Central Banks around the world have been hoarding physical gold in 2016, as has investor demand where the first half of the year saw a 127% increase from the same time during the previous year. 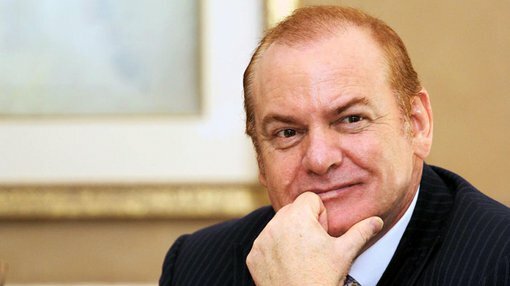 As we reported recently, some of the wealthiest people on the planet are moving their money into gold right now. It seems that something is brewing behind the scenes in relation to gold. With gold reaching all-time highs this year in Australian dollars, starting 2016 at $1,450 per ounce to now sit at $1,739 per ounce, we have seen many gold shares outperform with double and even triple figure growth. One of those being soon to be gold producer Blackham Resources (ASX:BLK) who started the year at $0.23 per share and hit a high of $1.18 per share in August. Share price movements should not be used as a guide to future hare price movements and any investment decision should not be based solely on this information. If Holland proves to be correct then it may be just the beginning of even greater times ahead for gold producing companies on the ASX.